Isn’t t’interweb wonderful? There you are, googling something or other, and you come across something entirely unexpected. Like, for instance, a report by George Stephenson, the “father of railways“, to the Directors of the Limerick and Waterford Railway Company in 1831.
at or near to a certain place called or known by the Name of the Ozier Beds in the Town of Carrick. The Ordnance Survey map of about 1840 shows an osiery above the old bridge in Carrick, where Sean Healy Park is now, but has more extensive osier beds around the confluence of the Lingaun with the River Suir, east of Carrick. The line would have run through Oola, Bansha, Cahir, Clonmel and Kilsheelan, with branches to Waterford, Thurles and the coalfields of Killenaule and Ballingarry; there were to be “docks, basins, quays and wharves at Carrick, Clonmel and Waterford”. The next ten years [after 1830] were the busiest of Stephenson’s life, as he was besieged with requests from railway promoters. It is well known that there is in Ireland, at the present moment, a vast tract of uncultivated land; amounting, as appears from official returns, to upwards of one-third of the whole surface; and of this quantity, at least two-thirds or one-fourth of the whole, admits of being brought into a high state of cultivation : whilst in England, there is little more than one-tenth of the total quantity of land, admitting of much improvement. In Ireland, likewise, a large portion of the land which does undergo periodical tillage, is cultivated in so slovenly a manner, as not to yield one half of the produce which it is capable of yielding under an improved and more diligently conducted system of cultivation. The physical, and therefore the moral, condition of the two people is equally different. Industry, with a state of comparative comfort and plenty consequent thereon, together with a love of peace, characterize the one nation,—idleness, misery, and want, and a love of turmoil, which seeks in the commission of violence, an amelioration of that condition, the wretchedness of which cannot be exceeded, characterize the other. What then, it may be asked, is the cause of the marked difference in the state of the two countries ? That it does not arise from a deficient application of capital to the improvement of the land merely, we may rest assured. The multitudes of unemployed hands, and the natural richness of the country, are indisputable proofs, that, for the purposes of production alone, there is an abundantly sufficient capital already invested. Nothing therefore is wanting to effect for Ireland that which well-applied capital effects, in ordinary cases, but the means of bringing it into active operation. How, need it be asked, is this to be effected ? The remedy cannot fail to suggest itself, from a consideration of the great expence of conveying produce to a market, and to the consumer, over a country in which the only means of communication consists in the common roads, and of these a considerable portion are in a wretched state of repair. 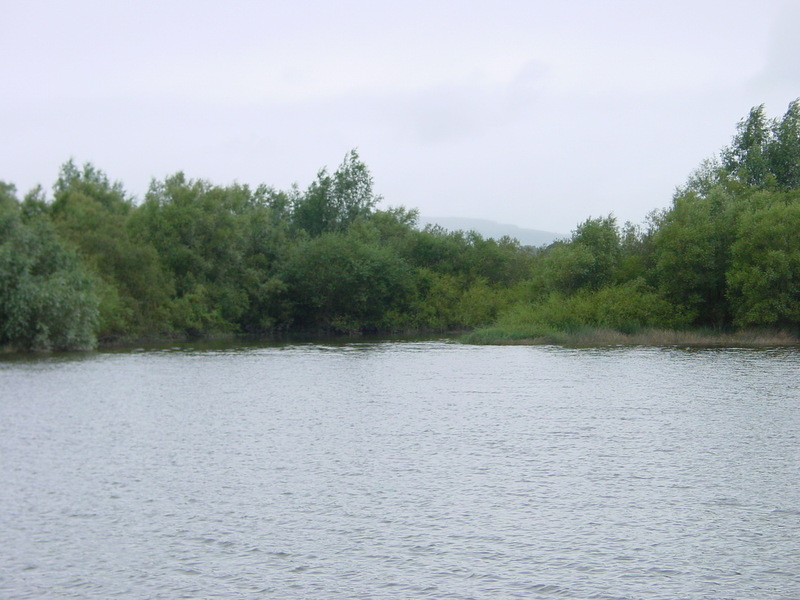 … the tract of country laying to the north-west of Waterford, and adjoining the river Suir. … as by far the greater proportion of the productions of the soil, and of the live stock, will be derived from the district contiguous to the valley of the Suir, and to the populous towns of Tipperary, Caher, Clonmel, and Carrick, it may perhaps be deemed advisable not to extend the Railway, for the present, further than Tipperary, and to commence it at Carrick, up to which place the river is navigable for vessels of considerable burthen. The railway carriages would there be run on to platforms and towed down the river by steam boats as far as Waterford, where the lading will be transferred into sea-borne vessels. The expence of a double unloading and double shipment would be thus saved. His estimate of cost provided £5,000 (out of a total of just under £150,000) for a “loading pier”, presumably that below Carrick. For an impression of what the journey from Carrick to Waterford might have been like, see this page. For information on the railway as built, and other aspects of Suir valley industrial heritage, download the two parts of Fred Hamond’s exhaustive Built Heritage survey here. Stephenson’s report was not his only link to Irish inland waterways, for his Liverpool to Manchester Railway linked Dublin to Manchester, while Dublin was linked by canal and river to Limerick. And when the Limerick to Waterford railway was eventually opened, its operations had a major effect on those of waterborne carriers on the Shannon. Here is something that may be related.